With the new year upon us, wild winds are blowing away the clouds obscuring our view. Vision is what we are given. The Light that we celebrate with Christmas, is with us. 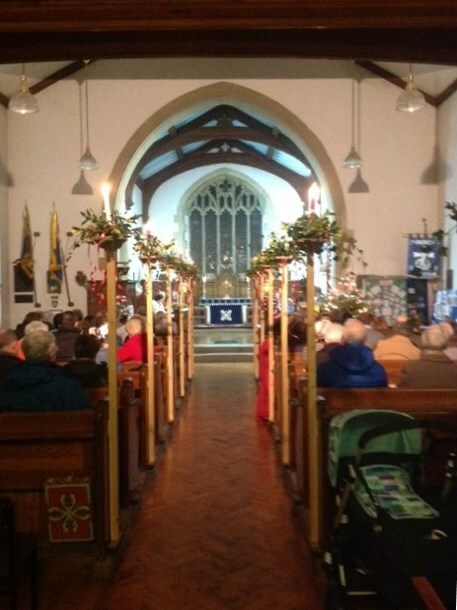 250 souls attended our Christmas services. What a blessing! Tim is now back home from hospital getting stronger every day. Our prayers are for God’s blessing on Tim, June and the communities of Coniston and Torver. Peter and Pat, the Wardens Nick and Linda, Leigh and many other helpers kept the lights glowing and the the candles burning throughout the Christmas season. May the light and love and peace and vision of Christ, be with you all!